Cyllenius Travel Services is proud to offer the most professional and affordable football travel transfers Liverpool has to offer. Having successfully catered for fans traveling to Manchester Airport from across the globe for years, we are the perfect choice for those in need of transport to Merseyside’s famous football stadiums. 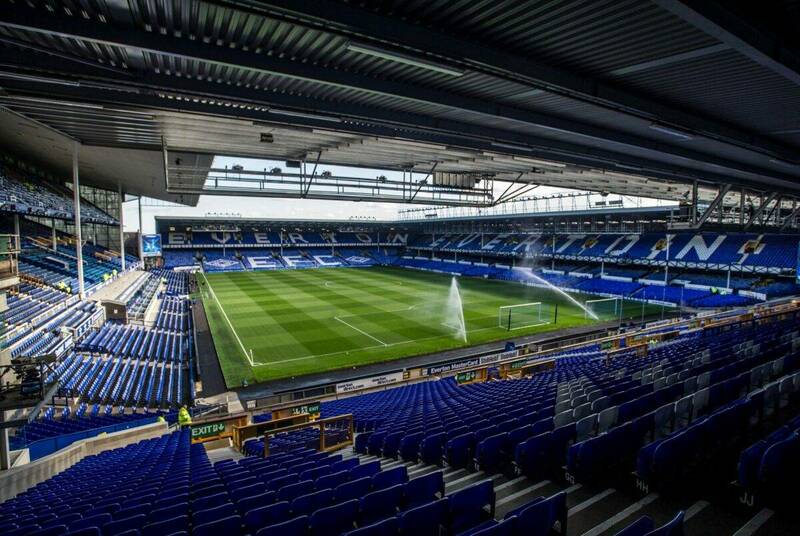 Whether you are a red or a blue (In Merseyside or Manchester), whether you require travel services from Manchester Airport to Anfield or from Liverpool Airport to Goodison Park, our punctual drivers will always be on hand to transport you safely and swiftly to your desired destination. 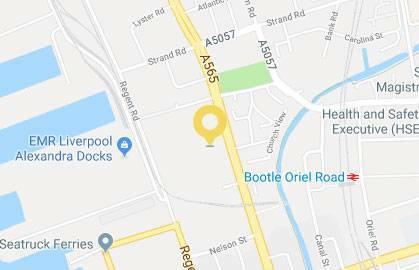 At Cyllenius, we are not content with simply matching the standard Liverpool Airport to Anfield taxi service offered by our competitors and we will always strive to provide the best possible service for every single one of our customers. 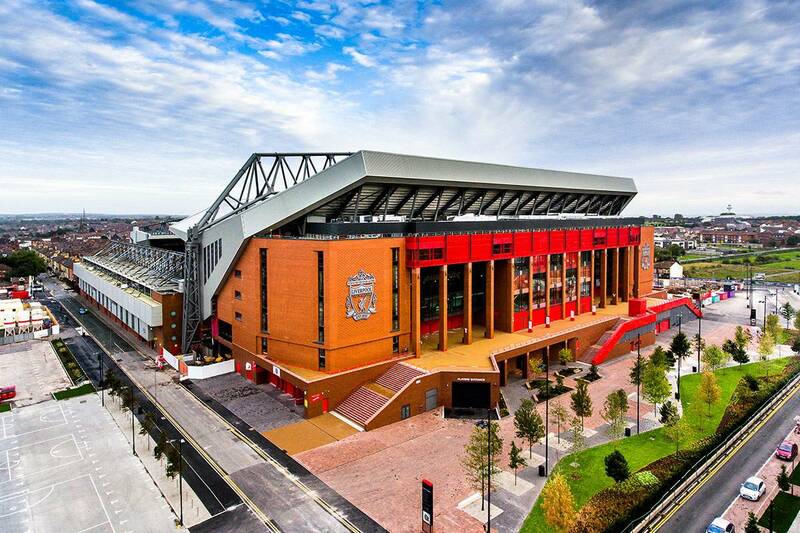 Given that Liverpool has such a strong following in Scandinavia, we understand that many football fans will fly into Manchester Airport before making their way to Anfield. 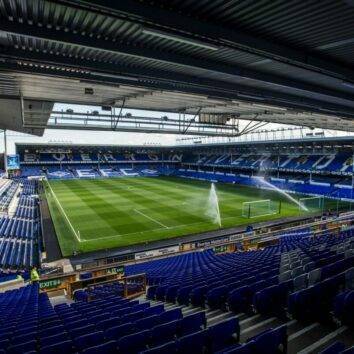 Because we are determined to make this journey as comfortable as possible, all our estate cars provide bottled water as well as mobile phone charging ports – ideal for the drive from Manchester Airport or John Lennon Airport to Anfield. 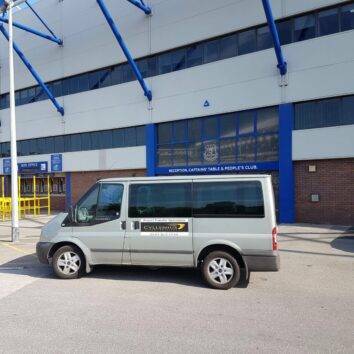 For those coming to watch the football from abroad, don’t worry, our drivers are trained to deal with situations where a language barrier could be perceived as an issue and will make sure that they get you where you need to go. We value our customers and wish for them to be as comfortable as possible on their journey. We have a large fleet of vehicles at our disposal, which allows us to cater to your individual needs no matter the size of your party or budget – our luxury minibusses can accommodate up to 52 passengers. 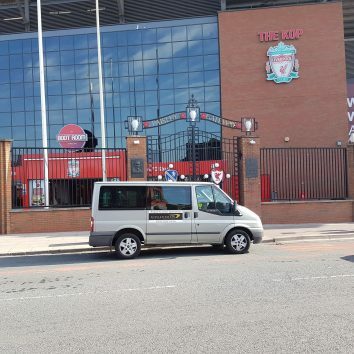 We want our customers to be delighted with their travel arrangements regardless of whether they require travel from Manchester Airport to Anfield or from Liverpool Airport to Anfield and we will do everything possible to ensure you are happy with our services. We offer special rates for our football fans as well as a selection of services to make your stay that little bit more special. We can arrange a meet and greet service, so fans can meet their favourite players – the more that book this service, the cheaper it becomes! 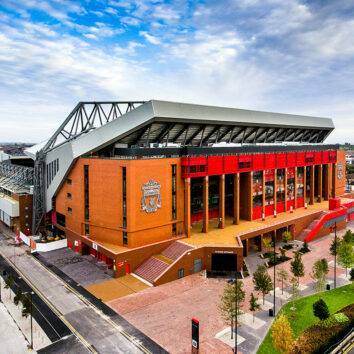 We also offer city tours here at Cyllenius Travel Services, so football fans visiting Liverpool for the first time can get acquainted with our great city and learn some of it’s history in the process. If you’re looking for more of a point in the right direction rather than a full tour our friendly drivers will be more than happy to assist!